At Mason Animal Hospital, our goal is to serve our patients, clients, and the community through outstanding veterinary care with compassion and kindness. We strive to educate ourselves and our clients in order to provide the best quality of life for all patients in every life stage. We are advocates of preventative care, thorough diagnostics, and excellent medical and surgical services. Our pets are our family. We are glad to be given the opportunity to treat your pets the same. When you arrive at Mason Animal Hospital, you feel as if you are visiting your pediatrician. The bright clean lobby contains an area for your children to play, complete with picture books and toys of all types. Our friendly and courteous receptionists will greet you and your pet promptly and let the assistants know you have arrived to the animal hospital. You and your pet will then be escorted to one of our five exam rooms. Our assistants will ask you a few simple questions to better understand your pet's needs and prepare them for the doctor. When the doctor arrives, he or she will examine your pet and ask you a few more questions to evaluate what is needed. Our veterinarians are the best, treating your pets as if they were family! Should your pet need treatment, we have a wonderful treatment room complete with monitoring equipment and diagnostic tools. 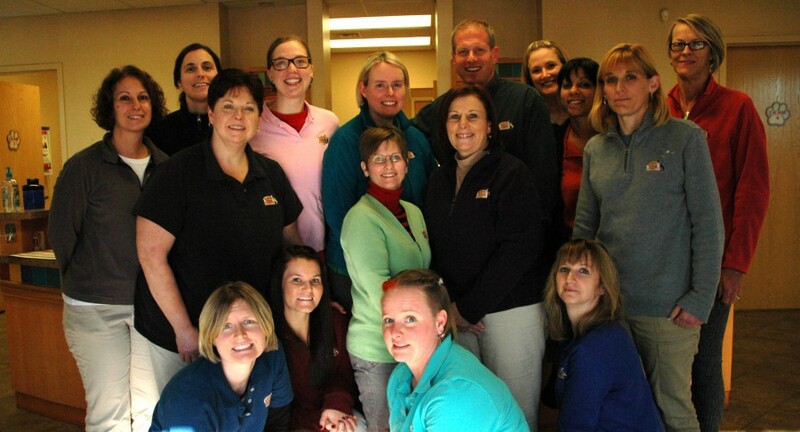 Our caring and compassionate technicians and assistants are always ready to help! Sometimes pets need to spend the day with us. We have four kennel areas to keep your pet safe and comfortable for their visit. There are two dog rooms, one for large breeds and one for the little guys, a room just for the cats, and a room especially for those who are very sick and need to be by themselves. We have lots of snuggly blankets for everyone to help make them feel more at home! We would be happy to arrange a tour with you in person during our regular office hours. Please call us to schedule.